The highest compliments we can receive is a referral from our valued customers. Here are a few letters and comments from past customers. We appreciated the opportunity to work in their homes and we welcome the opportunity to work in yours. Time is a valuable commodity…the crew from James Construction understands this. They were there working when they said they would be, and finished our project on time and on budget. Mel was a pleasure to work with, and even tolerated my dog shadowing his every move.  We would highly recommend James Construction to our family and friends. Workmanship was excellent. All workers had a very good attitude and very professional. It was a pleasure doing business with James Construction. I hired James Construction to remodel 2 full baths, including our Master bathroom with a connected walk-in closet. The jobs were performed with high quality craftsmanship, attentiveness to my needs and within the cost of the original estimate... I highly recommend them if you are looking for a general contractor who knows his stuff, is honest and forthright and delivers quality work. James Construction did an exceptional job on our siding project. Brian’s crew was knowledgeable and courteous and completed the work in a timely and professional manner. They did a great job communicating with us about our requested project changes and specifying the costs of the changes. We are very pleased with our new siding.